It’s so good to be bad. You know what they say; give a woman the right shoe, and she can conquer the world. 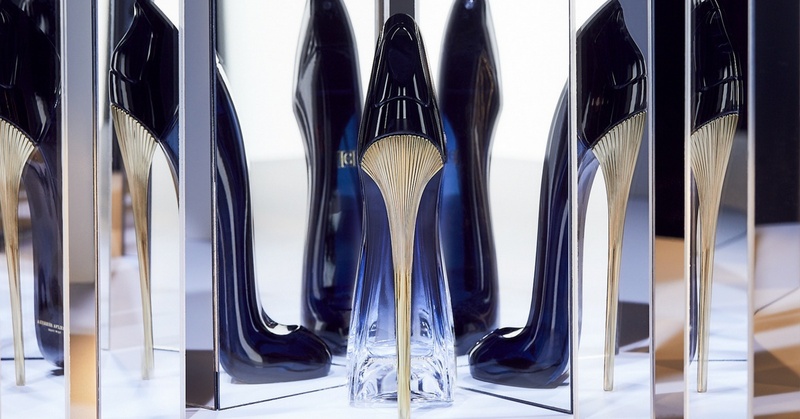 Truth be told, this is what Carolina Herrera, her daughter Carolina Herrera de Baez and master perfumer Louise Turner envisioned when developing the House’s Good Girl scent that comes in a luminous, midnight blue-ultra high stiletto shaped bottle. Celebrating women empowerment with a fragrance, Good Girl is billed as the biggest fragrance launch for the brand in 16 years and the first new pillar to be introduced since 2007. The ultra feminine fragrance embraces the modern women of today and is a tongue-in-cheek play on what the term “good girl” actually embodies. “There is nothing like the moment when a glamorous woman walks into a room and everybody wonders who she is.” says Carolina Herrera so it’s no wonder that supermodel Karli Kloss is the face of the scent. Good Girl revels in a woman’s unapologetic duality – her femininity and sensuality, her timeless elegance and casual irreverence, her hopeless romance and fearless independence. The house of Herrera celebrates the spontaneity, complexity and power of a Good Girl with a potent fragrance that embodies her paradoxical nature and yet is, in itself, delightfully simple and addictive. For over four years, Carolina Herrera de Baez, Creative Director of the House of Herrera Fragrances, brought her extensive knowledge of the brand and fragrance development into the creation of Good Girl. 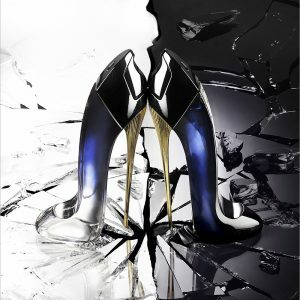 Every part of the fragrance is a reflection of the Herrera woman, best told through de Baez herself. Both fragrance and bottle express the sensual, confident, feminine and powerful nature of the woman who wears Good Girl. The sweet, alluring qualities of jasmine give the fragrance its brightness and femininity. The darker side is created with richly fragrant cocoa and intoxicating Tonka. Almond and coffee brings immediate vibrancy to Good Girl while tuberose is extracted in a new way that creates a rich delicacy, is what Louise Turner calls the fragrance’s “wild card,” bringing “fluidity and femininity”. Carolina Herrera turns female empowerment up a notch with the launch of their Good Girl Légère Eau De Parfum. The fragrance pays homage to strong women and their alegría de vivir and invites to us to be who we want to be and embrace all the roles we want. The scent speaks of a modern femme fatale who dares to play with the sweetness of Tonka and Dulce de Leche, the sensual desert made of sweetened milk. So, what do you say? Isn’t it so #GoodToBeBad? Karlie Kloss modelled the T-shirt before it even hit the catwalk. The perfect excuse for a lazy Sunday. From ‘Crazy Rich Asians’ to ‘Captain Marvel,’ the actress reflects on her breakout year. This overnight treatment is a crucial addition to your beauty routine.